In The Allure of Blackness among Mixed-Race Americans, 1862–1916, Ingrid Dineen-Wimberly examines generations of mixed-race African Americans after the Civil War and into the Progressive Era, skillfully tracking the rise of a leadership class in Black America made up largely of individuals who had complex racial ancestries, many of whom therefore enjoyed racial options to identity as either Black or White. Although these people might have chosen to pass as White to avoid the racial violence and exclusion associated with the dominant racial ideology of the time, they instead chose to identify as Black Americans, a decision which provided upward mobility in social, political, and economic terms. Dineen-Wimberly highlights African American economic and political leaders and educators such as P. B. S. Pinchback, Theophile T. Allain, Booker T. Washington, and Frederick Douglass as well as women such as Josephine B. Willson Bruce and E. Azalia Hackley who were prominent clubwomen, lecturers, educators, and settlement house founders. In their quest for leadership within the African American community, these leaders drew on the concept of Blackness as a source of opportunities and power to transform their communities in the long struggle for Black equality. The Allure of Blackness among Mixed-Race Americans, 1862–1916 confounds much of the conventional wisdom about racially complicated people and details the manner in which they chose their racial identity and ultimately overturns the “passing” trope that has dominated so much Americanist scholarship and social thought about the relationship between race and social and political transformation in the nineteenth and twentieth centuries. 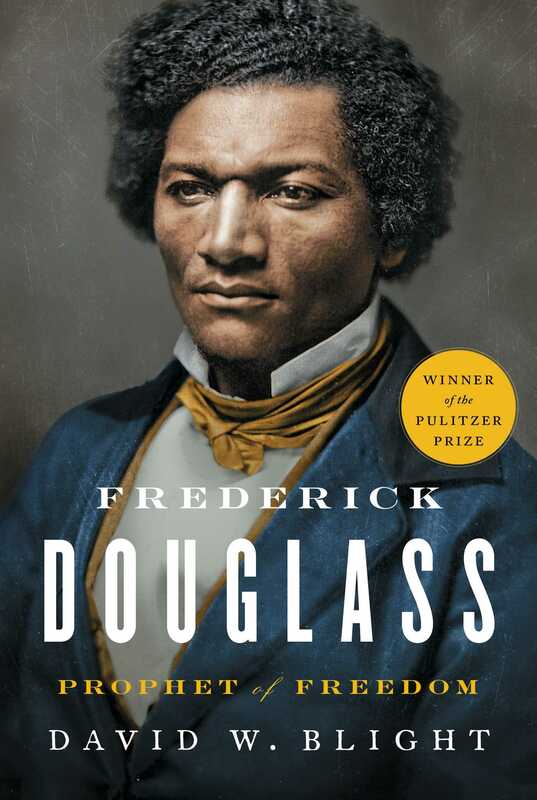 David Blight has written the definitive biography of Frederick Douglass. With extraordinary detail he illuminates the complexities of Douglass’s life and career and paints a powerful portrait of one of the most important American voices of the 19th century. One would expect nothing less. Blight, considered a leading authority on the slavery period, has been thinking about Douglass for over 35 years. The Yale historian wrote his dissertation on him. And now with unprecedented access to a trove of material gathered by African-American art collector Walter O. Evans, Blight sheds light on the final 30 years of Douglass’s life in ways we have never seen. The resulting chronicle enriches our understanding of Douglass and the challenges he faced and offers a lesson for our own troubled times. What surfaces is a powerful and flawed human being. 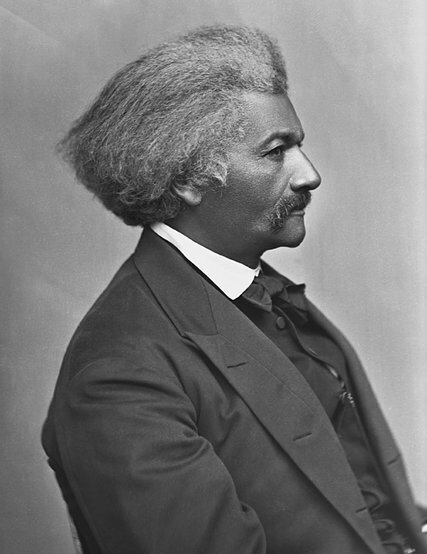 We see him struggling to create himself under the conditions of slavery, waging war against the peculiar institution with words and action, raging against “the infinite manifestations of racism” (what Douglass called our “national faith”), and remaining a loyal partisan of the Republican Party until the day his heart gave out in 1895 at age 77. His is a journey from radical outsider to political insider, a prophet whose fires cooled as he aged, gained famed, and acquired access to the corridors of power. The 200th birthday of one of America’s greatest thinkers, Frederick Douglass, is being celebrated this month. Douglass is remembered as many things: a fugitive slave who gained his freedom, an abolitionist, an advocate for women’s rights, a gifted writer and orator. But we should also remember him as someone whose insights about scientific theories of race are every bit as relevant in our era as they were when he wrote them. …Of course, engaging with ethnology on its own terms was a dangerous game. 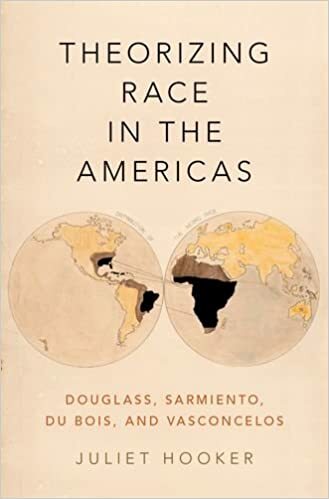 It sometimes meant that Douglass perpetuated scientific ways of thinking about race rather than simply dismantling its logic and insisting on race as a product of history. 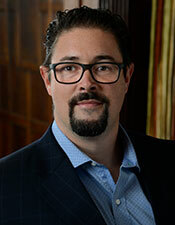 He borrowed from the ethnological theories of his friend James McCune Smith, a fellow black abolitionist and the nation’s first credentialed black physician, to argue that both black and white people would be improved by racial mixing. Last year President Trump made statements that left the impression he believed that abolitionist Frederick Douglass was still alive. In some respects, he still is. This month marks the 200th anniversary of Frederick Douglass’ birth, and his racial justice work continues to be relevant today. 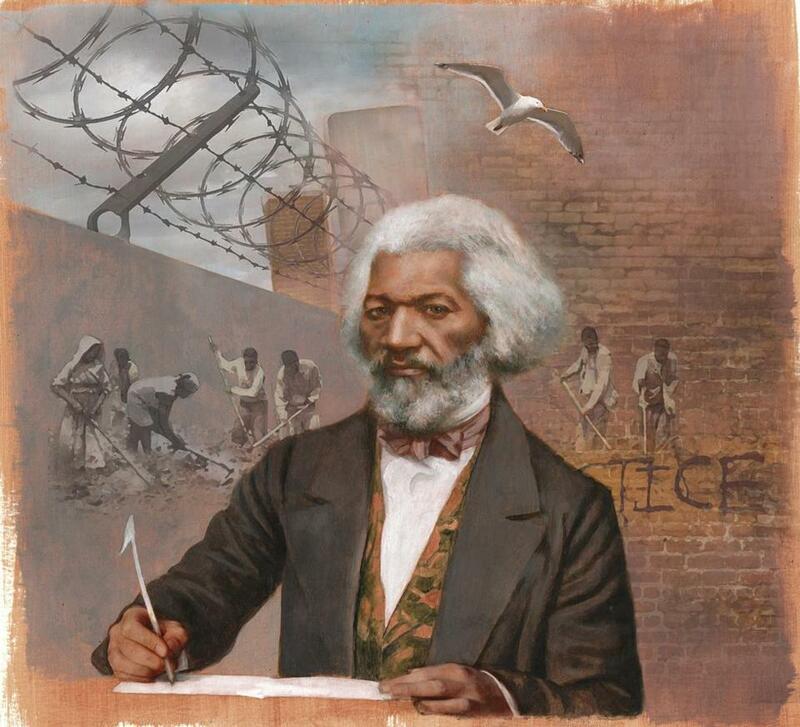 In fact, after President Trump was informed that Douglass died in 1895, the president signed into law the Frederick Douglass Bicentennial Commission Act to organize events to honor the bicentennial anniversary of Douglass’s birth. While slave records mark Douglass’ birth month as February — he was born in a plantation on the shores of the Chesapeake Bay in Talbot County — his status as a slave meant he had no information about the exact day he was born. As an adult he chose Feb. 14th for himself as a birth date. He was also never told who his father was, but circumstances lead him to conclude that it was his white slave owner. Tackling fraught but fascinating issues of cultural borrowing and appropriation, this groundbreaking book reveals that Victorian literature was put to use in African American literature and print culture in the nineteenth and early twentieth centuries in much more intricate, sustained, and imaginative ways than previously suspected. From reprinting and reframing “The Charge of the Light Brigade” in an antislavery newspaper to reimagining David Copperfield and Jane Eyre as mixed-race youths in the antebellum South, writers and editors transposed and transformed works by the leading British writers of the day to depict the lives of African Americans and advance their causes. Central figures in African American literary and intellectual history—including Frederick Douglass, Frances Ellen Watkins Harper, Charles Chesnutt, Pauline Hopkins, and W.E.B. Du Bois—leveraged Victorian literature and this history of engagement itself to claim a distinctive voice and construct their own literary tradition. In bringing these transatlantic transfigurations to light, this book also provides strikingly new perspectives on both canonical and little-read works by Charles Dickens, George Eliot, Alfred, Lord Tennyson, and other Victorian authors. The recovery of these works’ African American afterlives illuminates their formal practices and ideological commitments, and forces a reassessment of their cultural impact and political potential. Bridging the gap between African American and Victorian literary studies, Reaping Something New changes our understanding of both fields and rewrites an important chapter of literary history.